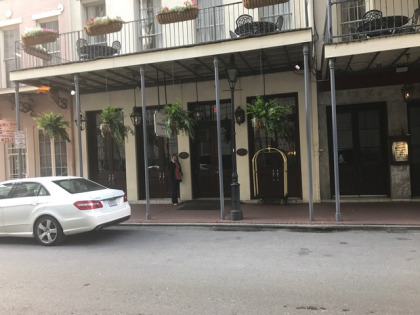 Club La Pension’s French Quarter location makes it easy to experience New Orleans the best way—walk to world-famous restaurants, exciting nightlife, and to the unique cultural activities of this historic city. Find your New Orleans timeshare for sale at Club La Pension. Comprised of six historic buildings, Club La Pension was recently renovated and redesigned. Multiple configurations of one and two bedroom timeshare condos are stylistically designed by local architects and artisans to reflect the essence of New Orleans. Using vintage silver grey tones, polished wood beams and one of a kind art pieces, the resort is a perfect blend of historic and modern. Condos feature full bathrooms, full kitchens or kitchenettes and balconies overlooking the French Quarter. Owners enjoy free Wi-Fi, flat-screen TV, HDTV, DVD, and heating/air-conditioning with in-room control. For your added convenience there is access to valet parking, dry-cleaning and laundry service. Helpful staff at the concierge desk are ready to assist you with tours and tickets. A lovely roof top sundeck provides owners with grand views of the area and a great place for relaxing. Nearby restaurants offer gourmet pleasure with eclectic menus from Creole, French and Cajun to Classic American. 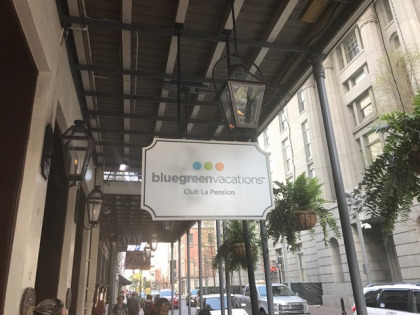 Enliven your senses while exploring legendary Bourbon Street, Café Du Monde, Jackson Square and a multitude of unique shops and galleries. Visit now while New Orleans timeshares—including Club La Pension—are for sale at discounted prices on the resale market. Contact Club La Pension Specialist Today!